A real Hollywood blockbuster is filming in Kirsty’s village, and the girls have parts as extras! 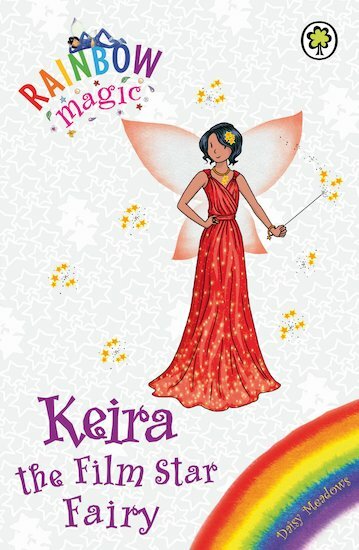 Everything is going like a dream – until Jack Frost and his goblins steal Keira the Film Star Fairy’s magical items! The Silver Script, the Magical Megaphone and the Enchanted Clapperboard are missing. Unless Rachel and Kirsty can get them back, working on a movie set will never go right again. Has Jack Frost ruined the movie magic once and for all? Find out in this starry special! I think it is ok.I think other people should read this book. It has loads of fashion. Beautiful looking fairy which means it’s a top book! I rely like these books because each fairy has a different name so you no which one you have read. I think this book is so great I want to read it aagain I wanted to so bad I have im half way throu it.I love it so much im in love it so much Im in love with it.when I grow up I think I will maby marry it.I LOVE IT!!!!!!!!!!!!!!!!! I just read it and it is so, so good, Really Good!